Montblanc’s revamped Heritage collection was one of the real winners from SIHH, a collection oozing in stylish nostalgia and charm. No small part of that charm is due to the complex, domed dials with sophisticated finishes and mix of printed and applied details. And while this collection encompasses high-end chronographs, a GMT and a Day-Date, I’m quite smitten by this 40mm time-only offering with the warm, coppery toned salmon dial. From 2150 euro. 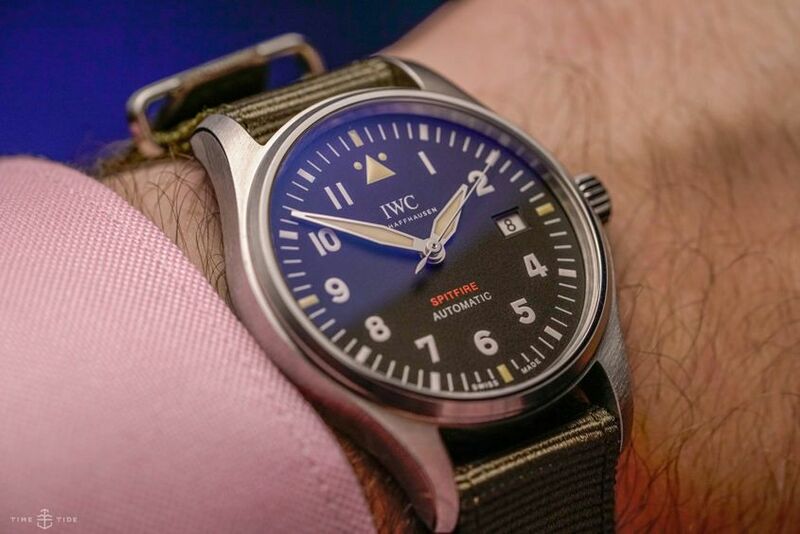 IWC’s Pilot’s line is — unsurprisingly, given its utilitarian and attractive style — one of the brand’s strongest performers, and this year saw a crop of the best high-flying releases in a good while. Amidst the bold new materials and aviation-inspired complications, it was the plain steel Spitfire that really stood out. Now in a 39mm case, and with an in-house movement, it’s a stunner of a watch, with enough old-world charm to win the Battle of Britain. From $6700 (indicative). We’re on record as being #teambaumatic, and the newest dial offering, in graduated Cadran Bleu, only seals the deal. 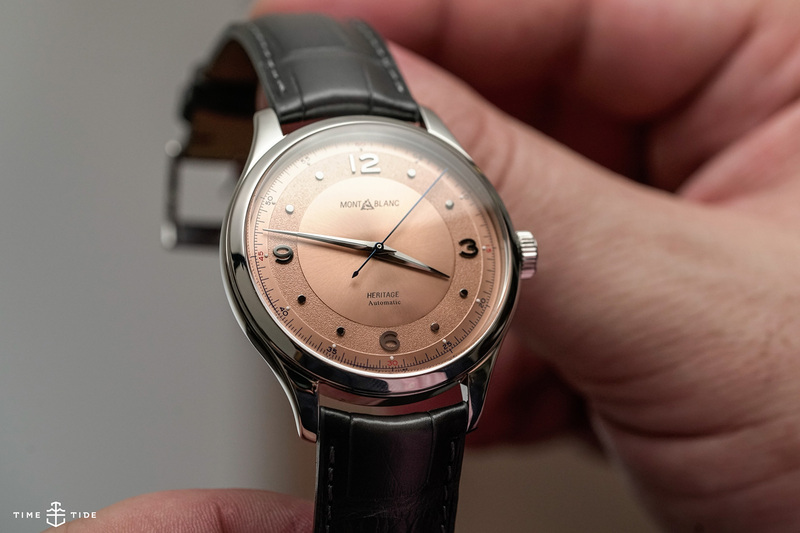 This dark dial looks great, and the Baumatic movement, with five days power and COSC or non-COSC options, is a solid performer. Though it’s worth noting that the escapement is no longer silicon, perhaps because Richemont was not part of the consortium that developed silicon technology in watches. 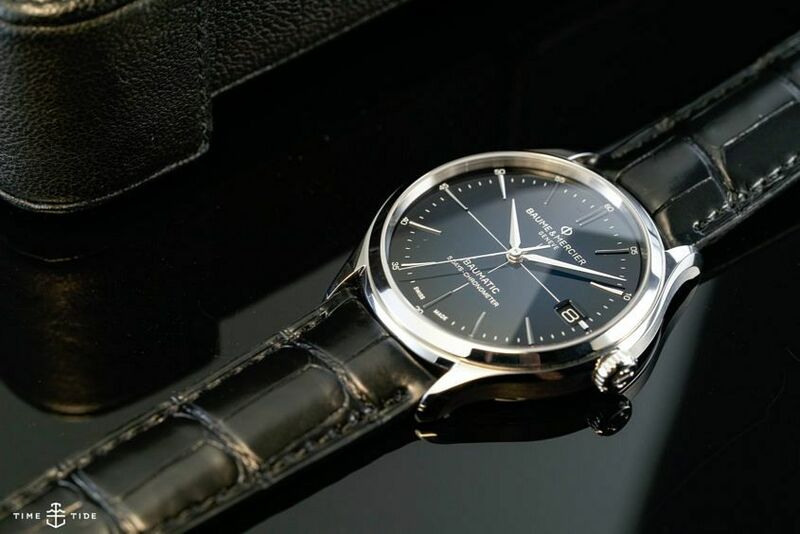 Even without this element, it’s still a strong proposition from Baume & Mercier. From 2400 euro including tax. 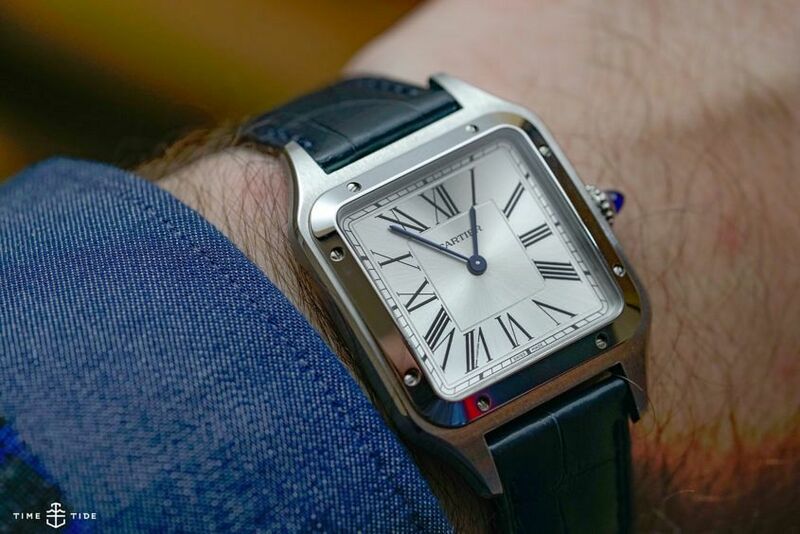 Cartier has always taken a design-first approach to their watchmaking, which goes a long way to explaining just why their designs, like this Santos Dumont, have remained significantly unchanged for the last century, and why they’re as relevant today as they were then. It also helps to explain the quartz movement inside, which — in a nice feature — only needs a new battery every six years. Large model in steel, $5450.